How much fire is too much fire? If you’ve cooked on your boat, you’ve probably lit a fire on your boat. Both the Seahorse and Gimme Shelter have been equipped with Origo alcohol stoves. We’re hesitant to cook on them because alcohol is more expensive than just plugging in an electric griddle or using an electric coffee pot while at the marina … and also because I did manage to set the galley of the Seahorse on fire during one breakfast incident when I thought the burners had gone out. I tried to refill them, but they weren’t really out — flash fire. Thankfully we only ended up with a melted dish rack and a few singed spots on the couch, but ever since then we’ve been incredibly fire conscious. I actually refurbished a propane oven, but it was a very old model with zero safety features (and it wasn’t cooking things very evenly either). So after much debate we decided to sell the oven and stick with the alcohol stove for now. Gimme Shelter also came with an oil lamp mounted on the bulkhead. We finally decided to fill it up and give it a try last weekend. Despite the paraffin lamp fuel claiming to be odor free, I could still smell it burning. I also instantly became paranoid that it would either set the boat on fire or kill us with carbon-monoxide poisoning. I know that for centuries sailors have safely had lamps and stoves on boats, but the second I light them I can’t stop being paranoid the boat will burn down. So tell me, do you cook on your boat? If so, do you use alcohol or propane? Would you use an oil lamp? 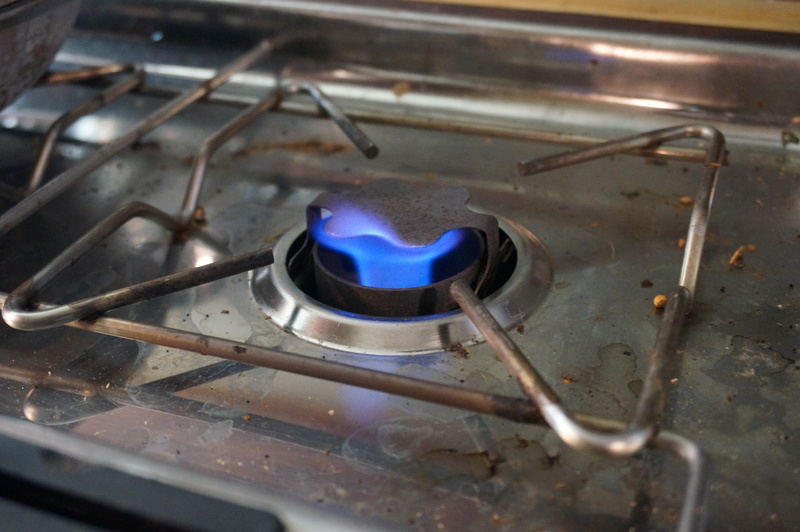 How much ventilation does an alcohol stove or an oil lamp require, so that the fumes aren’t dangerous? What fire prevention measures do you have in place? Oh how I miss our old alcohol stove. We had one on our MacGregor 26M and it was simple to use and felt safe. We now have a Catalina 30 with a propane stove we’ve never used because I don’t trust it. We just plop our two-burner hotplate on top of the existing rangetop. I, too, am afraid of carbon monoxide. But I am intrigued by an oil lamp. We’re going to put a propane grill on the cockpit rail at some point this spring. I think I’ll feel safer cooking outside. We have a two-burner alcohol stove and we never felt unsafe using it. We only cook with all hatches open to get the air circulation going, and we never refilled the tanks on the boat. I worry more about CO from the diesel heater since we had leaks before. If it’s too cold at night we keep the electric heater running instead. 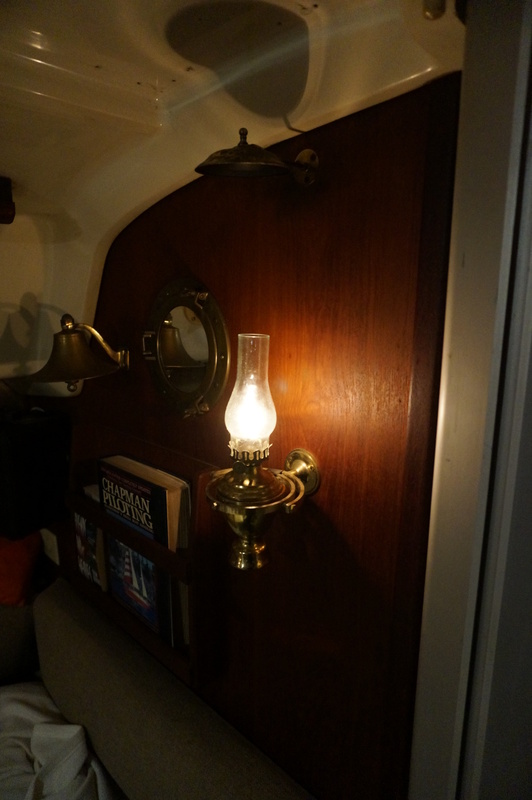 Never thought about having oil lamps on board though, probably not the best idea because we have an energetic kid.